The popular horror video game is to get a reboot of the series say the game developers Mighty Rocket Studio. The fun gory horror remake will be a lot more colourful, weird and vibrant this time round. It will be a 2.5D horror/action game which will be released on the PlayStation 3, Xbox 360 and PC consoles. The game will even have co-op mode injected into the game, aswell as playing the role of one of the four student characters. All of the main characters have unique and cool abilities to use in the game. Defeating enemy mutants is the aim of the objective and the title will include brand new weapons, additional skills, global leader boards and unlocks when you level up with a character. 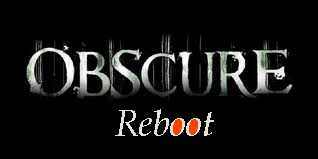 The Obscure reboot has been in development for well over a calender year now. So you can expect this to be a real winner upon the release date being announced by us. There will be much more news on this story to follow in the coming months.